Lil Xan was born on 6 September 1996, in Redlands, California, United States. Xan attended Redlands East Valley High School, but dropped out of high school in his freshman year. There’s nothing much known about Lil Xan’s girlfriends at this time. 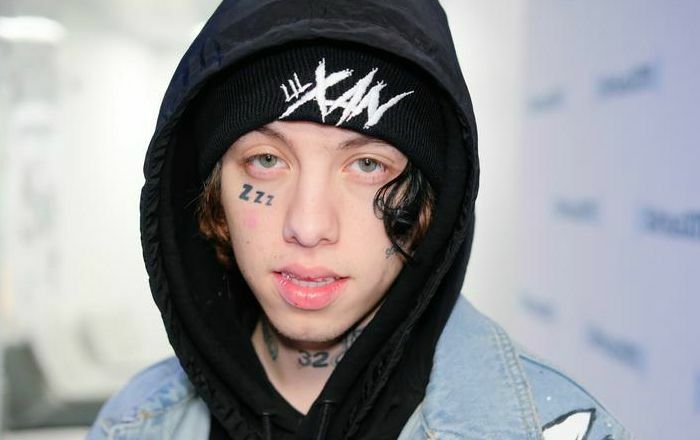 Lil Xan released his debut album, Total Xanarchy on April 6, 2018. It peaked at no.10 on the US Billboard 200. He hasn’t acted in any film or TV show yet. He gained popularity following the release of a single “Betrayed” and an accompanying music video song, which he posted on YouTube. The song peaked at no. 64 on the Billboard Hot 100. Lil Xan has a net worth of $300,000 dollars. He worked as a street cleaner and even sold drugs before establishing him as a rapper. He launched his own clothing line called Xanarchy. Lil Xan has collaborated with Bhad Bhabie and Lil Wop among others. He has tattoos on his face and neck. Lil cites Pharrell Williams, N.E.R.D, Arctic Monkeys, Cage the Elephant, Queens of the Stone Age, Drake, and Mac Miller as his musical influences. He used to a drug addict in the past and currently speaks out against Xanax abuse and urges people to stop using the drug altogether.